The governance of Self Enquiry Life Fellowship is overseen by ordained Vedic monks who form a Monastic Council. This Monastic Council operates within the Niranjani-Akhara (consortium), which comprises a large conglomerate of discrete monastic councils, and their respective monks, which is headed by an elected Mandaleshwara (head monk convenor). As the spiritual founder of the United States nonprofit organization, Self Enquiry Life Fellowship, Swami Vidyadhishananda was appointed as the lifelong President and principal advisor on the Nonprofit’s meditation and educational curriculum. He was ratified by the Monastic Council in India as the head monk for conducting meditation services of the Hansavedas Mission. The Monastic Council is a dharmic authority that functions to guide the interpretation of Sanskrit scriptures and curricula as they apply to the teaching systems of the institutions it oversees, including our Nonprofit. While the institutions under the purview of the Monastic Council have their own boards of directors or trustees, they share similar doctrine, are connected by common monastic lineages, and are united by their scriptural interpretation, faith and worship tradition. Herein meditation is our primary method of worship through mindfulness and an inner quest. 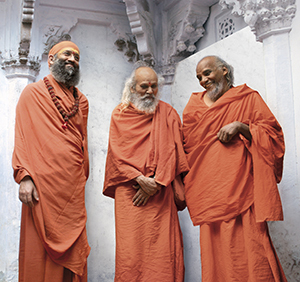 The following six institutions are guided by our council: Self Enquiry Life Fellowship in the United States headed by Swami Vidyadhishananda, Shri Parmanand Ashram in Allahabad headed by Swami Sharadananda, Vedanidhi in Varanasi headed by Swami Sharadananda and Swami Vidyadhishananda, Hari Bhawan Scriptural Library in Varanasi headed by Swami Atmananda, Tripura Yogashram in Haridwar headed by Swami Sharadananda and Swami Vidyadhishananda, and Shri Bharati Vidyalaya in Haridwar headed by Swami Premananda. Four additional monasteries in India that are under the council’s governance are not listed here. The council assists in safeguarding the Sanskrit-based nonprofit structure of Self Enquiry Life Fellowship. 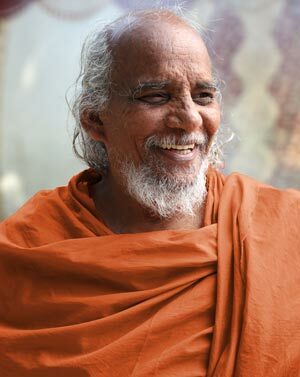 Thus the Hansavedas Fellowship functions under a traditional model based on the ancient Sanskrit system. Both the canon and creed provide maxims which guide how the Hansavedas Mission provides services, such as: vespers, initiations, ordinations, meditations, Vedic ceremonies, sacerdotal blessings, spiritual counselling, sublime recitations, scriptural readings, training of novices and public fellowships undertaken by our Nonprofit.